Hello! 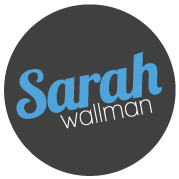 I am Sarah Wallman and I am a Graphic Designer based on the Berkshire, Surrey and Hampshire border. With over five years experience in the design industry working freelance, in-house and within design agencies for big and small brands I am currently working at Something Big, Woking as a Senior Graphic Designer where I work on brands such as Hertz, Yodel, DHL and several educational institutions. I am a print designer with strong layout skills. But my skills don’t just stop there, I design for social media, digital, packaging, large scale and many bespoke materials to name but a few. Please take a look at my Portfolio and get in touch to see more up-to-date projects that I can’t yet unveil!